1. 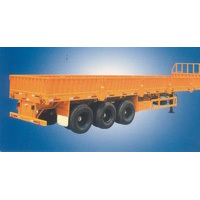 Axles is made from high-qualified alley steel, with a storage of name-branded axles such as Germany BPW, U.S KIC, FUWA, LT , KEDY and so on. 100% Originated from U.S "SEALCO" and Germany "WABCO"
others	ABS:4s/4m the both sides and the rear of the vehicle shall be installed body reflection.